Here at Eye Care Associates, we are proud to provide eye surgery for our patients. It is our goal to practice the highest standard of care, and we do this by utilizing state-of-the-art technology. We want to be able to provide you with the care you deserve. 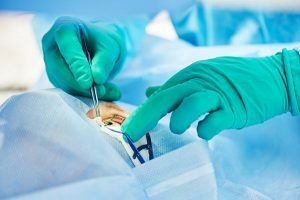 After a thorough examination, we will go over your options, and together we can decide the best way to treat your eyes, even if that means surgery. It is our goal to make you feel comfortable while you are having your surgery. We will do everything we can to make the process as easy on you as possible. We are also dedicated to the follow-up after surgery. We want to ensure that you are recovering well and that your eyes are healing like they should. We are here for you every step of the way. If you have any questions, comments, or concerns about eye surgery, please don’t hesitate to contact us today at (713) 621-9001.